Microchipping was just mentioned in the Harness or Collar thread and I thought it deserved its own topic. Microchipping was something I used to think all dogs should have done. This was a long time ago when AVID was the only one making chips for dogs. The chips were all on the 125 kHz frequency and there was only one scanner to read them. Then Home Again started making microchips for dogs that were also on the 125 kHz frequency but then they made a 125 kHz microchip that was encrypted so the AVID scanner would not read a microchip if it was an encrypted chip from Home Again! Then an ISO (International Standards Organization) microchip was introduced in Europe that was on the 134.2 kHz frequency and this was going to be the international standard for microchips in pets. Too bad the USA never made it our standard also. The original scanners that AVID made and gave away to thousands of shelters and rescue groups in the USA could only read AVID’s original chip. It couldn’t read the Home Again encrypted 125 kHz chip or the new 134.2 kHz European chip. Now people were getting their dogs microchipped and shelters and local animal controls with older scanners were NOT ABLE TO DETECT that the dog had a microchip!!! Then Banfield the PetSmart Vet came out with the ISO 134.2 kHz microchip in the USA. Dogs were being euthanized who HAD microchips but whatever scanner the shelter had was unable to read whatever ship the dog had. Yes, there are universal scanners that are able to detect but not read ALL microchips. But who knows what scanner YOUR local shelter and animal control have? Yes there’s more, the needle used to implant a microchip is NOT a tiny needle. The non-profit I work with used to microchip dogs for free. Toy breeds were the dogs who did the worst being chipped. About half of the small dogs would SCREAM when being chipped and the Bichon and Maltese types with the tender skin would have visible holes in their skin and be very tender at the injection site, sometimes for days. We have seen dogs with 2 chips who were microchipped without the Vet or Vet tech finding the original chip, we have seen many chipped dogs who after being adopted the new family never registered the microchip so even though the dogs had a chip we were unable to locate their current home. Conclusion: I no longer recommend people get their pets microchipped. It could lead you into a false sense of security where you think your dog will be returned home in an emergency but it will not. And the sarcoma link just puts the risks too high for the meager benefits IN MY OPINION. Secure your yard gates with locks, put signs up on the gates letting people know you have dogs inside, put an ID on a breakaway collar (yes they make them for dogs). Find ways of making sure your loved ones are not lost in the first place and make sure they are have some kind of ID that can be physically read in an emergency. Sorry for the bad news!!! Sorry for your experiences with microchips. All my dogs have been microchipped. I have always had toy dogs. My first dog to be microchipped was a Bichon Frise. I have been present and eye witnessed all my dogs being microchipped. My Bichon Frise and my Tibetan Terrier and my Maltese were all micro chipped in New Jersey. All had different vets at the time. My Maltipoo and Yorkipoo were micro chipped here in Atlanta by two different vets. I was eye witness to all my dogs that were microchipped always done in my presence. I do not allow any procedure done in the back. All procedures including taking blood I insist be done in the room with me present. I did the same for my son. If they needed to vaccinate him or do blood tests it was in the room with me present. Small needles, no screaming with my dogs. Lola (Yorkipoo) screams even if she believes I’m taking little too long putting her food bowl down. In my experience in all my travels throughout the country been able to check their microchips. Never a problem. The Atlanta Humane Society and rescue league is close to me and yet they too can register their micro chips. My husband and I have traveled extensively throughout the years in this country with our dogs. We don’t live them behind whether we are at a 5 star hotel or at a motel along the highway. They don’t come with us when we travel out of the states (too many restrictions and too long a flight) so I don’t know about that. Anyway, you do your way and I’ll do mine. Before microchips came alone I used to have my dogs tattooed. Again, in my presence, no anesthesia and no screaming in pain. I have tattoos and I also have not experienced any pain before, during and after. Before you say it, yes I realize everyone’s pain tolerance is different. I’m good, my dogs are good. If they ever get out (doubtful) in my neighborhood they will either be brought to the nearest vet or the humane society. Micro chip checked and a call to me and I come and get whoever. Hasn’t happened ever, but one never knows. I can only imagine how many pets are reunited at the shelter. Yes the needle is not tiny, but plenty of pets get on just fine having it done. Some pets will yowl in fear/pain at anything you do. Having it done during a routine surgery such as a spay or neuter is a good idea if you’re concerned about the pain. While it seems a legitimate concern not to microchip your laboratory rat, even the staunchest opponents list single digits of cases of dogs and cats who had a chip in or near their sarcoma as their “evidence”, some of which are cancer prone breeds, out of the millions of pets who are microchipped each year. While heartbreaking for their owners, this less than one in a million, doctors acknowledge that the presence of a foreign body may have triggered the cancer but that does not show causation that the microchip would be of special concern over another type of foreign body. Two of the cases listed aren’t even cancer related, but due to human error in injecting the microchip improperly. More pets have developed sarcomas from vaccines. Not knowing who has what scanner, or an owner’s failure to to update the registration is not a reason not to do it, it’s a reason to have better scanners and for owners, veterinary practices and shelters to be more vigilant in keeping records up to date. Nobody realizes their dog or cat could escape from where they escaped from until it does. I didn’t know my dog could run down a cliff that was at least a 50 degree angle until he was 150 feet down it; owners don’t know their dog can scale an 8 foot fence until it already has; or that their indoor cat would bolt past them that one time after years of showing no interest in that door. And trying to grab a breakaway collar to catch them means it should, well, break away! How is that a fail-safe way to keep an ID on a dog exactly? Microchipping is not a “false” sense of security, and for every dog with a chip that couldn’t be read, there are hundreds if not thousands who never get back home because their owners didn’t microchip their pets in the first place. We ice before injecting and the rate of screams has gone down dramatically. Chiribaya Shepherd. Very well said. I don’t work for a vet nor have I ever but you have said what I have been saying for years. I’ve had my dogs microchipped since it’s inception with never a problem. As a matter of fact, and I mentioned it before, I was present at my insistence, and only one cried BUT not at the injection. She started crying the moment I walked in the vets office as she always has and 4 1/2 years later she still does. The idea that your dog or cat is never ever going to get out of the house by a quick dart through the door is being naive. I have never understood anyone thinking that a breakaway collar would give them a measure of peace. As you said, and so many others, breakaway collars breakaway. It’s what they are meant to do. If your dog gets loose and someone is trying to he helpful and catch it, they are going to do that by the collar which WILL breakaway. It’s suppose to do that. That’s it’s purpose. I have three toy dogs. I do not keep collars on them in the house. That would be irresponsible of me. Toy dogs are prone to collapsing tracheas. Toy dogs, as most dogs in the same home, play hard and rough. They can get themselves caught up all on their own and choke themselves on something you would never expect. My sense of peace is knowing that my dogs are microchipped. I have moved many times over the years and always update our address to one and all sites that my dogs are registered with. That is my responsibility. If I move and forget to change address with post office, banks, insurance, magazines, whatever that would be my fault. We all do all of that when we move, why would we not remember to change our address with the vets office, the sites that our dogs are registered with and their insurance if you have VPI or another health insurance for your dogs which I do. We don’t forget to update our own doctors and insurance. It’s our responsibility to keep all their records up to date. I’ve known plenty of people who’s animals have gotten out and have been found because of their microchip. Microchips are a backup plan, of course. And they might fail. BUT THEY MIGHT WORK. Don’t you want to give your pet every chance to get back home? I sure do. I keep ID on him at all times, along with the chip. But I would never say that you don’t need a chip– even if they are not perfect. Microchip is not a GPS gadget and can’t track your pet on the if it gets lost. But chances are still there that when a pet is found and taken to a shelter or veterinary facility, one of the first things they do is scan the pet for a microchip. On the chance that they discover a microchip, and if the microchip registry has correct data, they can rapidly discover the pet’s holder. Why not get a pet gps tracker while having your pet microchipped so that you can track your pet and if the gps do fail the microchip will act as a fail safe. Based on my experience, microchips serve as really good dog trackers, since they don’t fall off. But I don’t recall my dog ever cry in pain because of the chip. Microchips aren’t dog trackers they’re more of an I.D. stuck in their body. I am agree with Bryan. 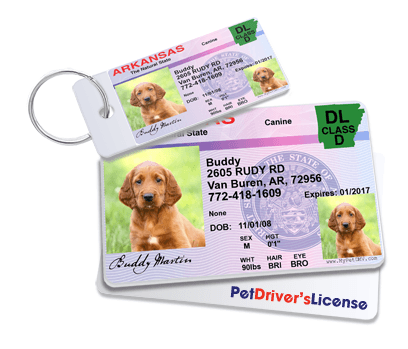 If you love your dog and don’t want to see in pain of microchip So i suggest to design the Pet Drivers License ID for the dog because it’s less expensive and free from pain. I don’t get what you mean Lester do you mean that we must design and develop some king of Pet Drivers License ID or is this already a real thing? My Patch is a rescue & was Microchipped, his M/C paper work told me he was 3 months old when he was M/C, had his date of birth, breed, owners details, (owner never collected him) ….I’m glad he was M/C, I know his DOB, that’s somthing that doesnt happen very much with rescued dogs & cats, had his original name, even though he didn’t answer & know his name was Patch 4yrs later when I rescued him, it gave the rescue vet some clues that he had probably had had a few different owners in his 4 yrs of life but after I reed his M/C paper work & it was his Birthday the day I pulled him from the pound, his kill day, I renamed him “Patch” again cause he was one very very lucky Staffy not to have been put to sleep that day…. Hi Nancy, I mean to say that Pet Drivers License ID is a kind of identification tag. It contain all necessary information of your pet includes your pet name, phone number, address and your name also. It’s really helpful to keep your pet safe. Isn’t that how microchips work? Hey Nancy, Microchip and Pet Drivers License ID both are to keep pet safe. But Microchip is injected in the body and Pet Drivers License ID is a kind of drivers license that attach in the pet collar. Will the license be attached to the pet collar or has its own collar? It has no own collar, then you can attach the license with pet collar.